They used to be afterthoughts: a fistful of greens tossed onto a plate in a half-hearted attempt to be wholesome. But salads have come out of the doldrums and into the light. 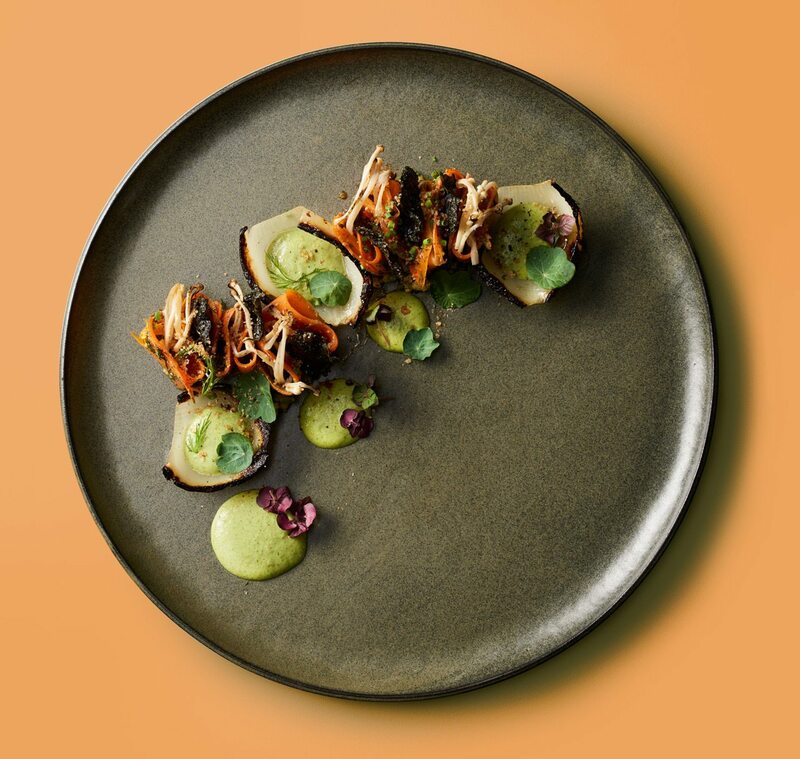 Now, many chefs are putting as much thought into green plates as they are to any meaty main. 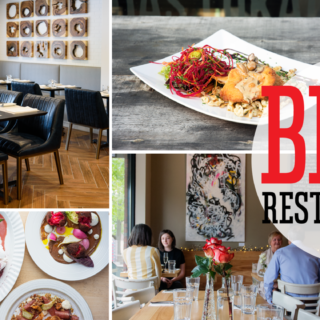 Here, Anne DesBrisay offers four lively summer salads from four very different restaurants. The twist on this summer salad is the umami hit of white anchovy. The silvery fillets elevate an otherwise gentle salad of cucumber, summer peas, fresh mint, and ricotta cheese. 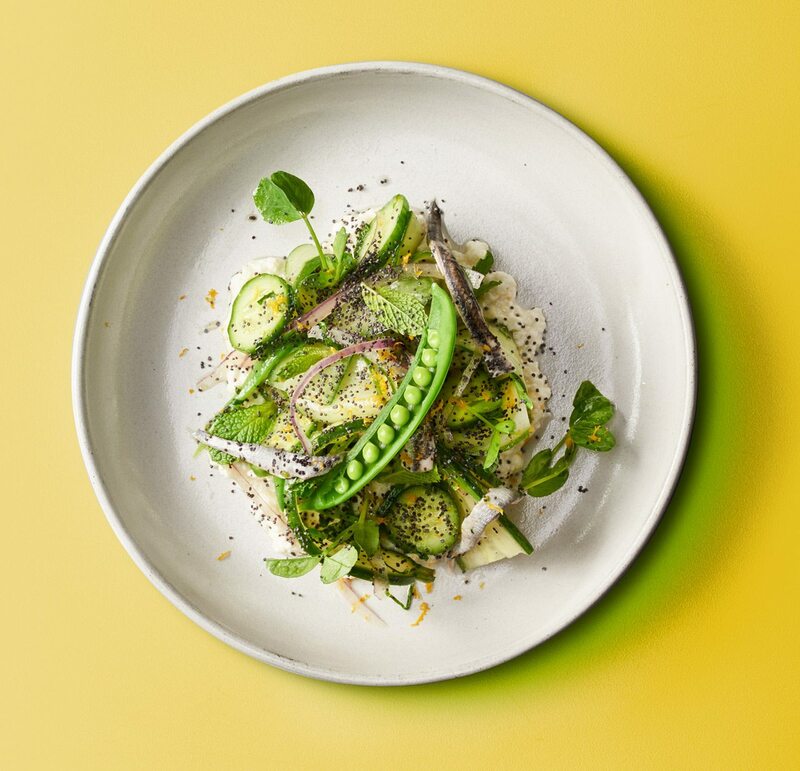 Lightly blanched to springy green, the pea shoots (from Butterfly Sky Farms), snow peas, and snap peas mingle with slivers of red onion, as well as ribbons and rounds of cucumber. Town’s house ricotta is thinned with a glug of good oil, tarted up with Meyer lemon zest, and finished with a flurry of poppy seeds. A dribble of the anchovy pickling liquid in the tart lemon dressing turns up the funky finish. It’s a salad that will make you long for a shot of Aquavit. Town, 296 Elgin St.
Sweet, juicy melons are the stuff of summer dreams. Chef Walid El-Tawel sources watermelons from Juniper Farm and looks to Acorn Creek’s crop for other melons — French Charentais when in season and gentle honeydews. 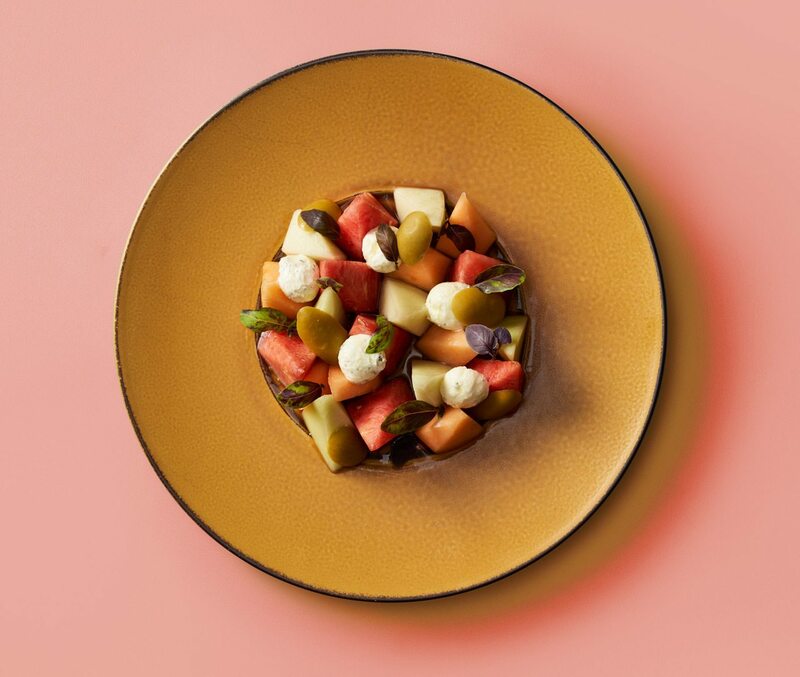 He slices the fruit into pyramid shapes and marinates each one separately to preserve their colours; he pairs them with buttery Cerignola olives and with cheese balls, which are composed of Montforte Dairy chèvre, labneh, and mint. A rose-tea vinaigrette, lightly sweet, and basil leaves, plucked from the Fairouz garden, scamper over the top. Fairouz, 343 Somerset St. W.
I would venture to say that nobody loves summer more than a food truck chef who feeds folk year-round. Ben Baird and his truck team admit defeat to winter only when the temperature dips into the negative 20s. 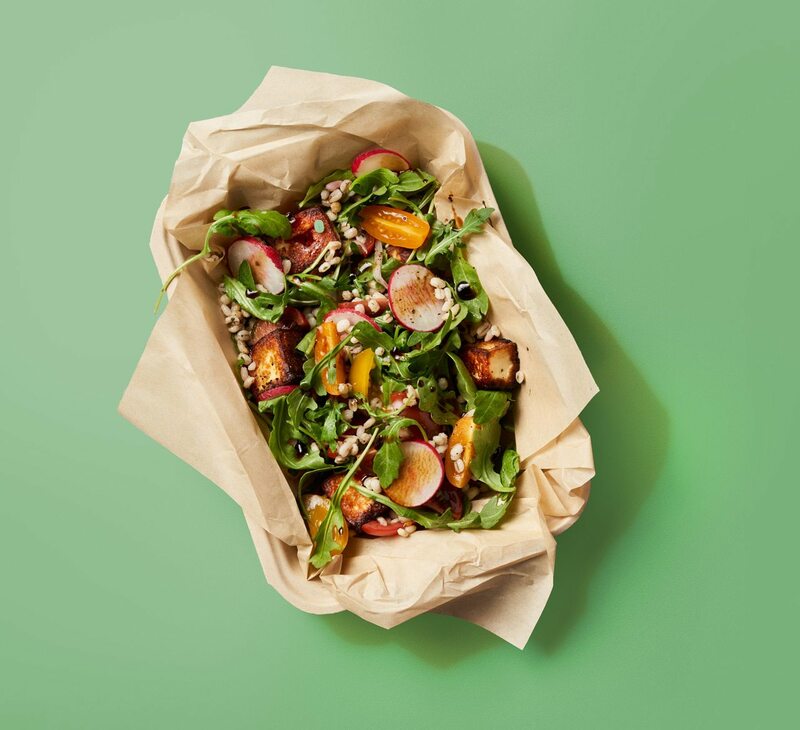 When tomatoes are at their best, Baird collects a mix of heirloom beauties and combines them with baby arugula, cooked barley, red onion, thin discs of radish, a chiffonade of basil, and a handful of oregano leaves. He tosses it all with an aged balsamic vinaigrette, adds cubes of fried halloumi cheese, a good crack of pepper, a glug of green olive oil, and summer is in the box. Streat Gourmet, corner of Albert and O’Connor streets, Monday to Friday. I love the colour clash of the salads at Café My House. And then there’s the terrific attention to texture. 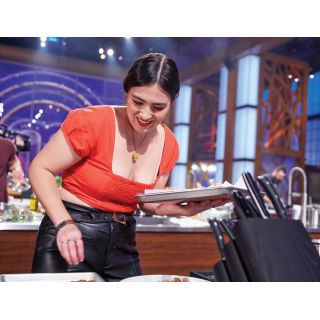 For this summer stunner, chef Briana Kim smokes Parkdale Farmers’ Market carrots, marinates them in dulse oil, and folds them, accordion-style, over a nubbly paste of chickpeas perked with garlic and parsley. Kim scatters enoki mushrooms, lightly torched, over top. Charred onion petals act as cups for a spunky green purée of almond and dill, punched with wasabi. For crunch and a bit of the sea, she adds nori chips and toasted breadcrumbs. Shiso and nasturtium leaves pretty up the top. Café My House, 1015 Wellington St. W.